Stream music and video from your video hosting plan straight to your phone. Never sync again! All your media – anywhere, anytime! Songs are cached for offline playback. Supports mp3, ogg, aac, flac, wma. Most video formats supported too. 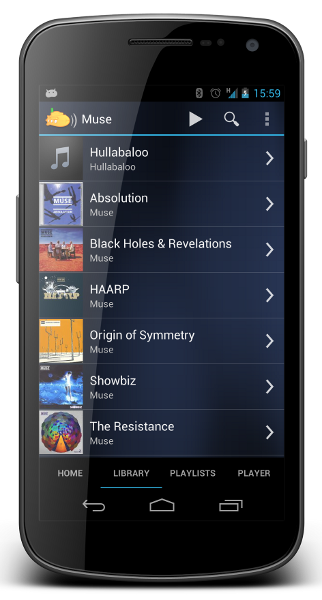 You can also use this app as a remote control for music playing on your server. Features offline mode, adaptive bitrates, equalizer and visualizer. Available free of charge on Google Play.